One could use a lot of words to describe Quin Blanding of the National Football League (NFL), but he is not only talented and strong, he is also relentless, flexible, fast, determined and above all passionate about what he does. These qualities have earned him many accolades, including the ACC awards twice in a row and multiple All-American awards. It has also endeared him to the heart of many fans and made him a face lovers of American football never get tired of seeing. Quin Blanding was born on the 1st of May 1996 in Virginia Beach, Virginia. His parents are Kevin Blanding and Cory Lee but he was raised by his mother as his father left after being married (to his mom) for just a few months. His mother Cory Lee named him after a 1989 movie with the title “The Mighty Quinn.” She also has two other children who he grew up with – Myki Lee and Jordan Lee. The siblings took very different career paths; his eldest sister, Myki Lee is a nurse while Jordan Lee serves as a Naval personnel. His path in athletics will be said to have come from his father Kevin Blanding who played as a running back for Bayside in the 1980s. Blanding was a three-sport athlete in grade school, with outstanding performances in baseball, soccer, and football. He would later choose football when he enrolled at Bayside High School in Virginia where he majored academically in Sociology while playing football. 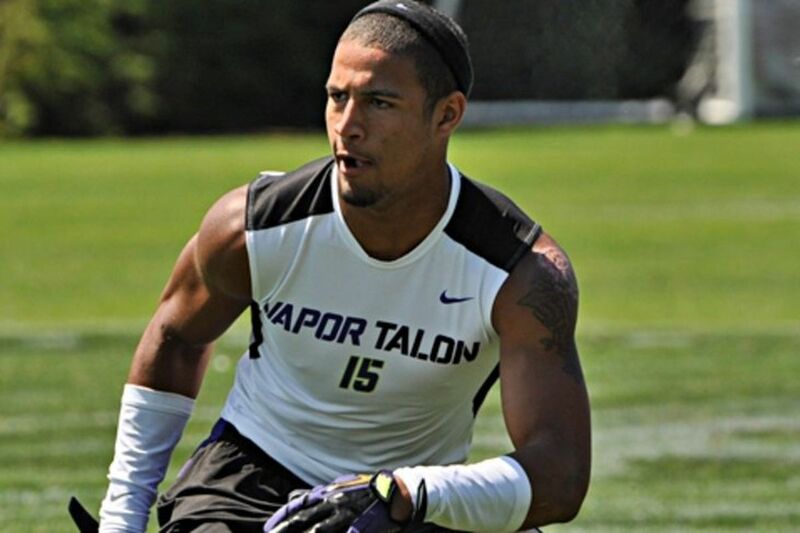 He played varying football positions in high school as a safety, tight end, wide receiver and quarterback and was ranked a five-star recruit. After high school, he chose to remain in the state of Virginia and attended the University of Virginia playing college football for the Virginia Cavaliers. 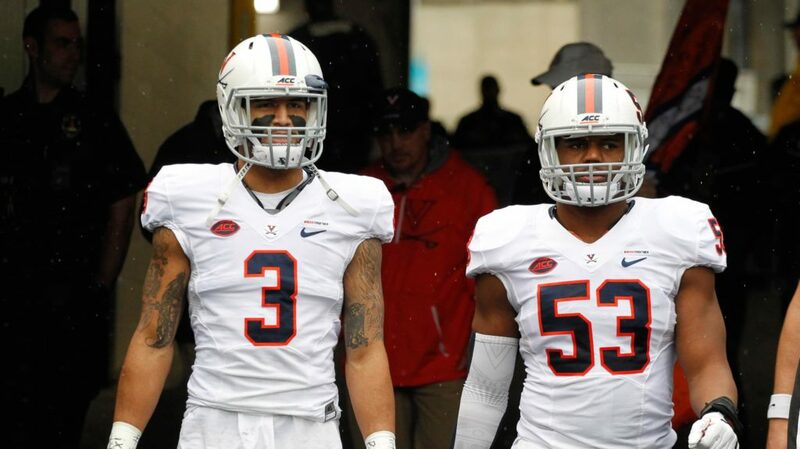 Quin Blanding started the first game of the season for the Virginia Cavaliers as a safety and went on to play 12 games in the 2014 season. He had 123 tackles which was the highest for a rookie that season and at the same time breaking Ahmad Brooks’s record for the Cavaliers. He also had 2.5 tackles for losses and three interceptions. At the end of the season, he was awarded ACC Defensive Rookie of the Year. His superb form continued in the 2015 season with 115 tackles and in the 2016 season, he had 358 tackles breaking his team’s record again and becoming the ninth player with more tackles in the history of his team. During his senior year, Blanding had 137 tackles and four interceptions for a 58-yard touchdown. In the 2017 season final game, he finished as all-time tackle leader with 495 tackles and 10 interceptions. Blanding majorly played as a safety and during the NFL Draft in 2018, he was selected among the top 400 players to be analyzed critically for their strength, weaknesses, and overall potential. He was analyzed as a player who follows plan rather than instinct, who is relentless, who runs really fast and is overall consistent in the game. It was also said that he had the potential to improve on his weaknesses. After college, Blanding had high expectations that he would be picked by a team in the 2018 NFL Draft but that was not going to happen. He was left undrafted and so he became a free agent and would be signed by the Washington Redskins. The game of American football does not permit people without a decent height. So we can often find that a lot of these players are quite tall, although some are taller. Blanding is no exception, he is already on the tall side making him perfect for the game. Quin Blanding is 6 ft 2 inches tall. An NFL player has to possess a significant amount of weight as the game involves an aggressive pull, toss, and body movement to make an impact so heavier players stand a better chance at withstanding such level of intensity in the field. Blanding is well structured weighing about 207 lbs. He is a young athlete and he stands a better chance at becoming heavier and stronger in the coming years. The American football is one game where size cannot be overemphasized and at the beginning of every game, the players are weighed and measured to know their present body measurements so as to know their potential performance and prepare ahead for a plan B that season. Blanding’s body measurements are as follows: Arm: 31¾, Hand: 8 3/8, Height: 6 ft 2 in and Weight: 207 lbs.